State of Assam in Eastern India is promoting religious tourism in the state and the ongoing “Ambubachi Mela” at the famous Kamakhya Temple is the first step in this direction. 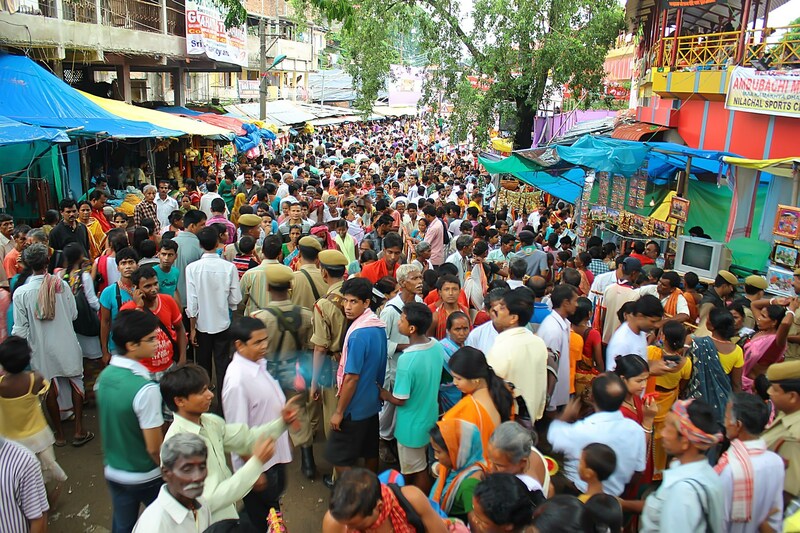 Other festivals like Doul (Holi) Utsav at Barpeta and Bordowa, Shivaratri at Umananda and Shiva Doul at Sibsagar and Urs Festival at Poa Mecca at Hajo will similarly be focused, Tourism Director Anjan Chakraborty said. Chief Minister Tarun Gogoi has urged the concerned department to undertake publicity campaigns, both within and outside the state, to attract tourists to the ‘unique’ festivals. Gogoi formally threw open the Ambubachi Mela a day before the annual festival last Saturday and said that the state government would leave no stone unturned to provide adequate facilities to the pilgrims during the four-day festival. “Lakhs of pilgrims from different parts of the country and even abroad come to shrines during these four days to pray and seek blessings of the Goddess. The government, therefore, would ensure that they face no difficulties and the basic amenities are taken care of,” he said. 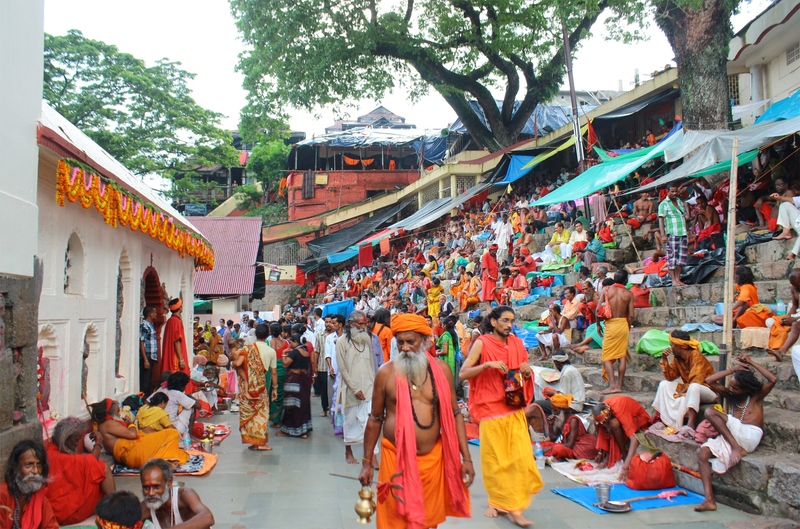 Ambubachi is the most important festival of Kamakhya temple, nestled atop the Nilachal Hills, and is associated with the concept of fertility cult with the earth symbolising female ‘shakti’ (power’). Assam Tourism has set up reception counters at Lokopriyo Gopinath Bordoloi International Airport, Inter State Bus Terminus, Guwahati Railway Station, Kamakhya Railway Station, Old Pandu Railway Station Camp, Sonaram High School Camp, and at Kamakhya Temple to facilitate the pilgrims, Chakraborty said. Community kitchens, toilets, drinking water, security arrangements and medical facilities have also been arranged for the pilgrims. At least 650 volunteers have been engaged by the Assam Tourism Department to assist the pilgrims, Chakraborty said, adding provisions have also been made for 60 buses to pick up and drop them from the three camps set up.During the four-day Ambubachi festival, Mother Earth is believed to menstruate and all religious and agricultural activities are not performed during the period. The doors of the temple are closed for the devotees and regular rituals are suspended for four days. On the day, preceding the actual time of the beginning of the Ambubachi usually on the seventh day of the Hindu month of ‘Asadha’, the ‘yoni mandala’ of Mother Kamakhya is covered with a red cloth called ‘angavastra’ for four days. The temple doors are opened after four days following the ‘suddhi’ or the ritualistic bath of the Devi and the day is considered to be the holiest to visit the temple and pilgrims throng the shrine to get a glimpse of the Goddess and receive a piece of the red cloth. Hey ust wanted to give you a quick heads up. The words in your article seem to be running off the screen in Safari. The desigvn and style look great though! Hope you get the problem soved soon. Hi! Thanks a lot for bringing to notice. I will just check this out.